Tours de Sport Hot Deals: CRESTED BUTTE BOOK EARLY & SAVE BIG PROMO! SAVE UP TO 30%! 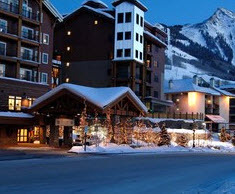 CRESTED BUTTE BOOK EARLY & SAVE BIG PROMO! SAVE UP TO 30%! When you book determines how much you save!!! This one is a no-brainer folks. Yes, our buddy Seth at CB has lost his mind. There absolutely NO BLACKOUT DATES with this promotion.